Lindsay Straw is a guitarist, bouzouki player and singer. She has been immersed in the vibrant Irish and folk music scenes of Boston for a decade, releasing two solo albums and one with her Irish band, The Ivy Leaf. From her home base in New England she’s toured the U.S., Ireland and England, both solo and in ensemble. Most recently, she’s been teaming up with partner Jordan Santiago to blend American fiddle tunes and improvisation with Irish tunes and British ballads. Anne Luna is a full time musician most known as a stand up bass player across a wide spectrum of genres. She is also an accomplished singer, songwriter and teacher. She has added bouzouki to her instrument stable as an expression of personal and musical growth. Ken Gilman is a bouzouki, bass mandolin & mandolin player (who occasionally shows up on tenor banjo, tenor guitar, baglama, Waldzither, fiddle or octave fiddle). Home base is Celtic music, but he sometimes dabbles. 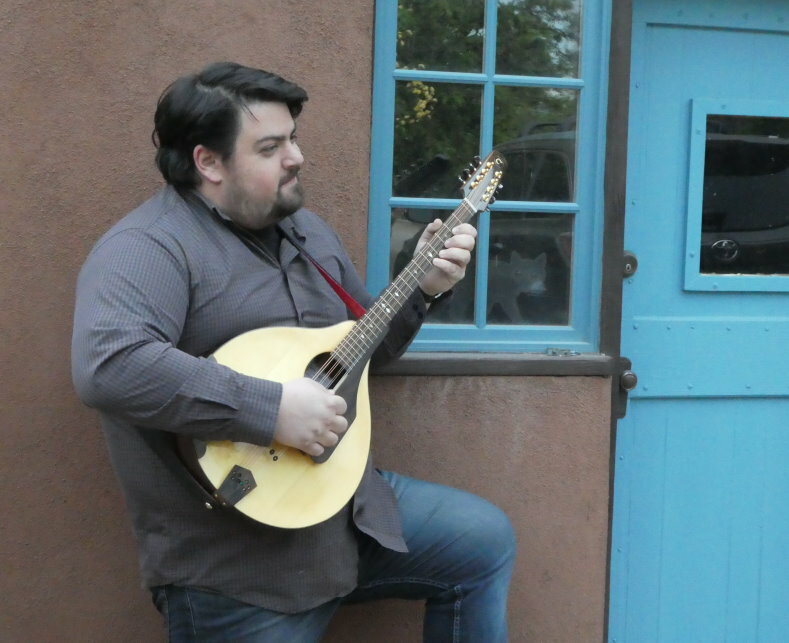 Besides playing with Mandology, he practices a little psychology, is music director for a weekly Episcopal folk mass, teaches a week long class on the Obbligato Instrument in the Liturgical Ensemble for the Guitar and Ensemble Institute of NPM, ‘manages’ the Albuquerque Mandolin Orchestra, and teaches a bit. Louis Scuderi sings and plays the mandolin, bouzouki, and guitar among other instruments, though he started out on the cello. His music is most strongly influenced by the folk music of Scotland and Ireland as well as contemporary American Folk. He has been playing traditional music since the age of eleven and has been a regular session player and a member of several bands, most notably as the lead singer of Celtic Waves, the premier Celtic band residing on Oahu, Hawaii. A classically trained violinist, Jordan Santiago switched over to mandolin and guitar after studying at the Hart School of Music in Hartford, CT. He has played everything from concertos in front of full orchestras to experimental improvisation to the gnarliest bluegrass jams around. In performance or in his own practice Jordan is always pushing for the new skills and techniques that will take his playing to the next level. When not performing, he’s the resident mandolin expert at the historic acoustic instrument shop The Music Emporium in Lexington, MA.